The only RTLS provider on the 2014 ranking, CenTrak attributes its rapid growth to the adoption of its Clinical-Grade Visibility™ Technology – enabling workflow efficiencies, cost reductions, and improved patient care. (Newtown, PA, December 2, 2014) — CenTrak announced today that it ranked No. 136 on Deloitte’s Technology Fast 500™ – a ranking of the 500 fastest growing technology, media, telecommunications, life sciences and clean technology companies in North America. CenTrak was also ranked No. 4 in the sub-category of Communications/Networking. CenTrak’s President and CEO, Dr. Ari Naim, credits the company’s 841 percent revenue growth to the demand for its innovative Clinical-Grade Visibility Technology. 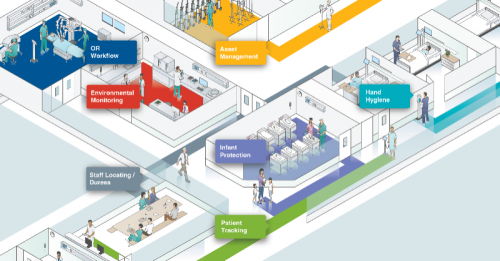 During a period of increasing financial pressure on the healthcare industry, CenTrak’s RTLS has become essential because it helps eliminate workflow inefficiencies and generates cost reductions, while improving patient care. CenTrak is uniquely positioned to deliver these benefits to its expanding customer base, making it the clear leader in the rapidly expanding healthcare RTLS market.